A soldier and scholar of the Indian Army, Colonel Samir Kanjilal (Retd.) is a man with wide ranging experience as an Army man and as an Educator. As Director of Ajmal Group of Colleges, he provides the vision and the strategic direction to all the Colleges. He is also responsible for bringing long-term systems planning into perspective, and implementing the social responsibilities. Col. S. Kanjilal (retd.) was awarded his B.Sc. (PCM) and B.Tech. (in Telecom Engr) from J.N.U., New Delhi; M. Tech. (in Comn Engr) from IISc, B’lore and his B. Ed. from V.B.S.P.U., UP. 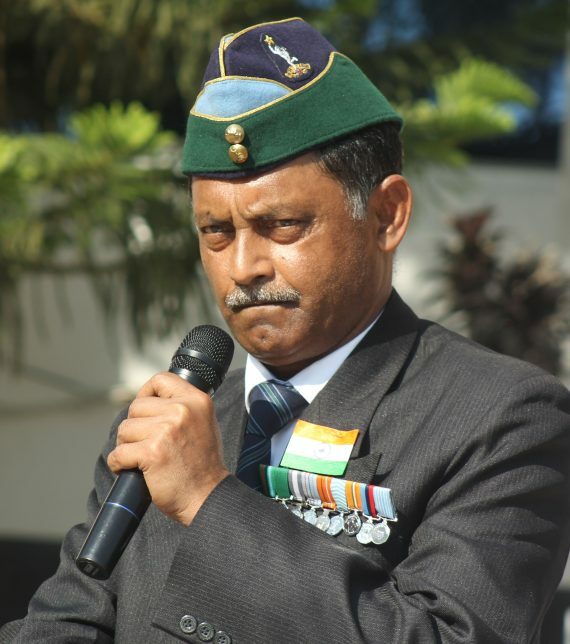 He joined the Indian Army in 1974 through National Defence Academy (NDA), Pune and, after serving for 29 years in the Signals Corps, he took voluntary retirement when holding the rank of Colonel in Mar 2004. Since then, he has worked as a Principal / Director in various schools of international standards in India and abroad; and has been taking classes in Maths & Physics. He regularly takes Motivational and Personality Development session for all the colleges. During his long career in the defence, he administered many Army schools as an executive board member. He is a keen enthusiast of sports and at the age of 62 years, he can still play almost all outdoor sports very skillfully. He is a trained para-trooper, sky-diver and keen Mountaineer. Col. S. Kanjilal (retd.) received the illustrious “Indira Gandhi Sadbhavana Award” on the 88th birth anniversary of Mrs. Indira Gandhi (late) at the India International Centre, New Delhi on 24th Nov ’06, for his outstanding individual achievement and distinguished service to the nation.